Whether you’re interviewing potential colleagues or preparing for interviews yourself, you are likely familiar with the process. The interview is not complete when all of the questions have been asked, however. 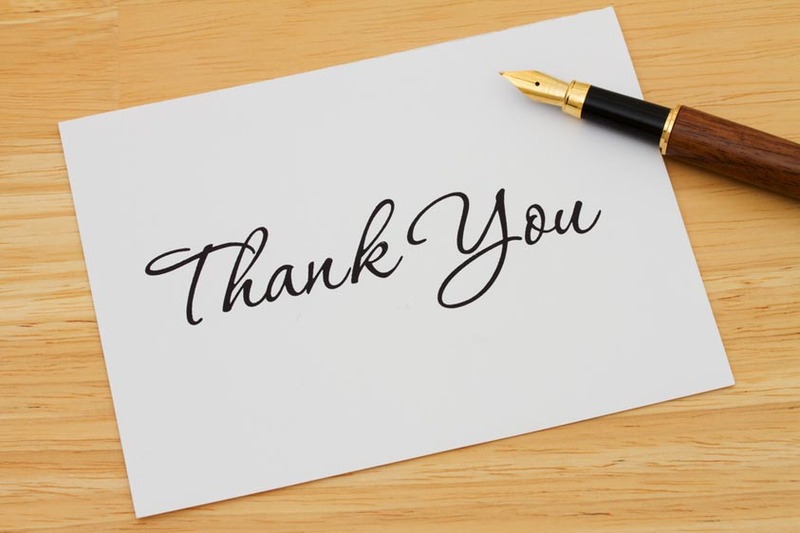 Sure, some people will use a generic cover letter for multiple interviews, but there is nothing more insincere than a fill-in-the-blank thank you note given to every interviewer. Besides, if you wait until after the interview, you will be able to personalize the note, injecting specific topics and personal connection points discussed during the interview. Mention specific parts of the conversation, with personalized comments. For instance, if you learned that you both love golf or have dogs, include this! In addition to writing an email, consider sending a hand-written letter as well. If your interviewer is meeting with multiple candidates, a name might not be recognizable enough to help them of your interview. Consider including an additional attachment of your resume, mentioning in the note your sincere interest in the position. It also never hurts to include your personal business card. Send an email within a few hours and a hand-written note within 24 hours of the interview, when your conversation is still fresh on the interviewer’s mind. Not only will this show that you are genuinely interested and enthusiastic about the position, it will also act as a follow-up, ensuring that your name and conversation sticks with the interviewer. And if you’ve decided against accepting an offer? Send a thank you note anyway. No matter the outcome, whether you’re accepting the position, accepting rejection, or even turning it down, always thank the interviewer and organization for the opportunity. Are there any tips that you would add that we didn’t mention? Do you send thank you notes after an interview? If you are interviewing candidates, how often do you receive them? At Coors Healthcare Solutions, we believe that emerging healthcare leaders are assets for organizations. We recruit impact candidates to develop a robust succession pipeline for key positions. Visit our website for more information.